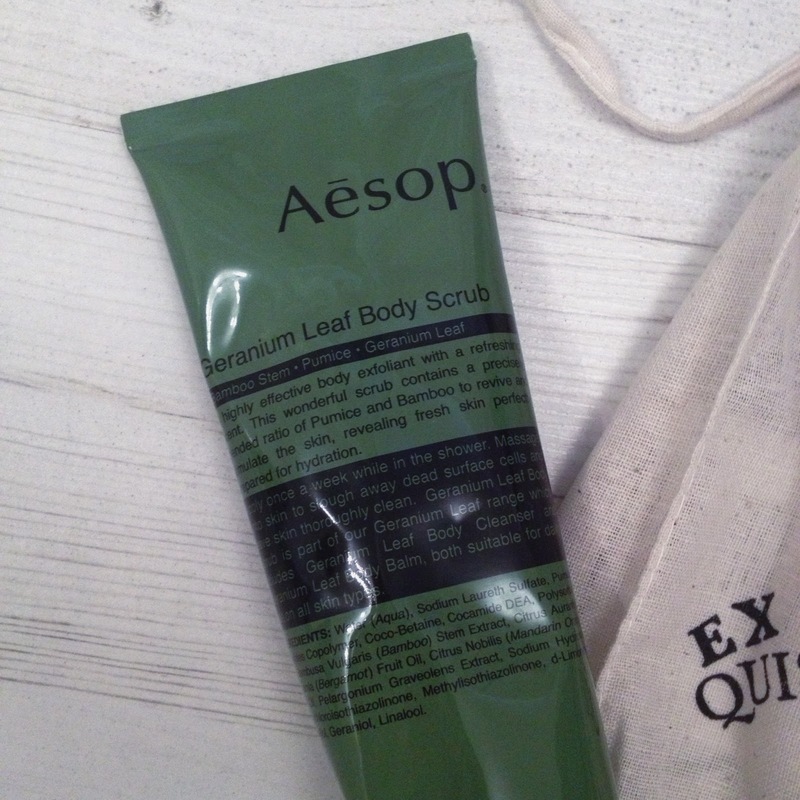 I popped into the gorgeous Aesop store in Covent Garden way back in January, with no intention of making any purchases...I was only supposed to be looking. But of course, I got talking to one of the lovely sales ladies and before I knew it I was handing over £25 for a body scrub...quelle surprise! Or maybe not, considering my addiction to all things bodycare. I tend to stick to the same products when it comes to make up but I'm obsessed with trying new things for bath time and scrubs happen to be my favourite. I do love it, however I wouldn't repurchase. It's a great product but I feel you can get ones that are just as good for cheaper and it doesn't come anywhere close to my beloved & Other Stories scrubs which definitely have Holy Grail status! It's just a nice treat to have that looks cute in your bathroom and I think it'll last me a good while as a little goes a long way. 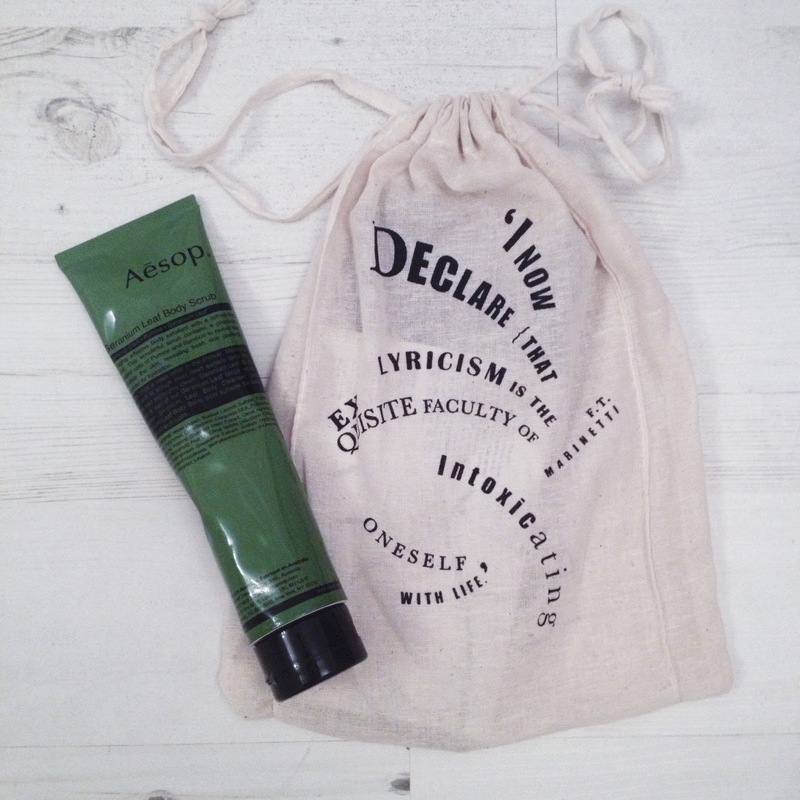 I've heard so much about Aesop! I love good body scrubs. I adore the typography on that bag. I've always got new body stuff & skin care on the go too! I'm more wary about trying new makeup because my skin seems to be sensitive to certain ingredients & I end up breaking out! £25 is a lot for a scrub, but I think if you love it then it's worth it, but it's a shame it was a bit meh for that price. 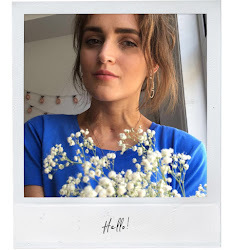 I really need to try the & Other Stories body/skin stuff, keep hearing so many great things & always forget to go in & check them out when I'm in London! The packaging is very pretty and I like it doesn't fall into the 'floral or fruit' category like so many products do!